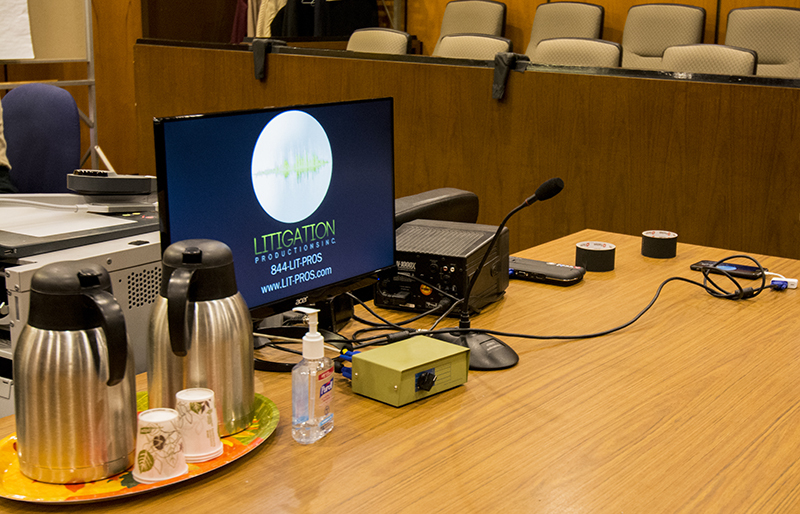 Trial Multimedia and Trial Presentation Services | Litigation Productions, Inc. | The Ultimate Litigation Weapon. The Leader in video and trial presentation services. 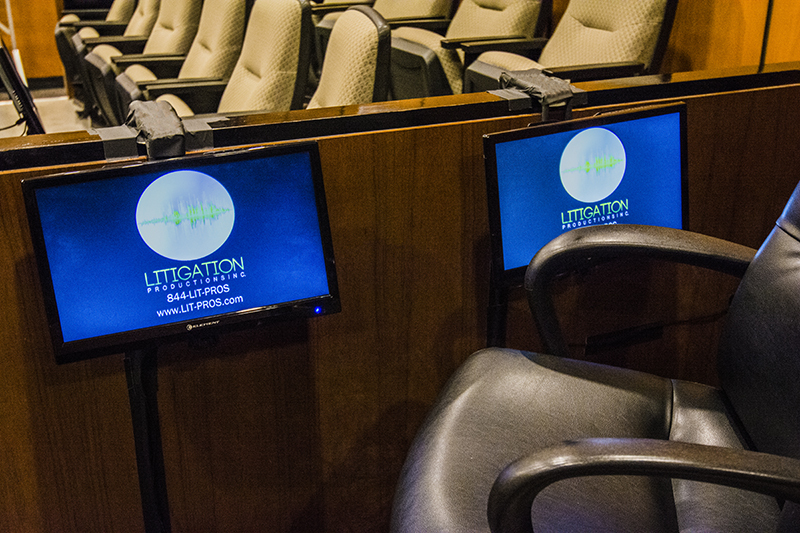 Litigation Productions, Inc. knows using technology in the courtroom to display evidence or demonstrative aids during trial, changes the dynamics of the case. 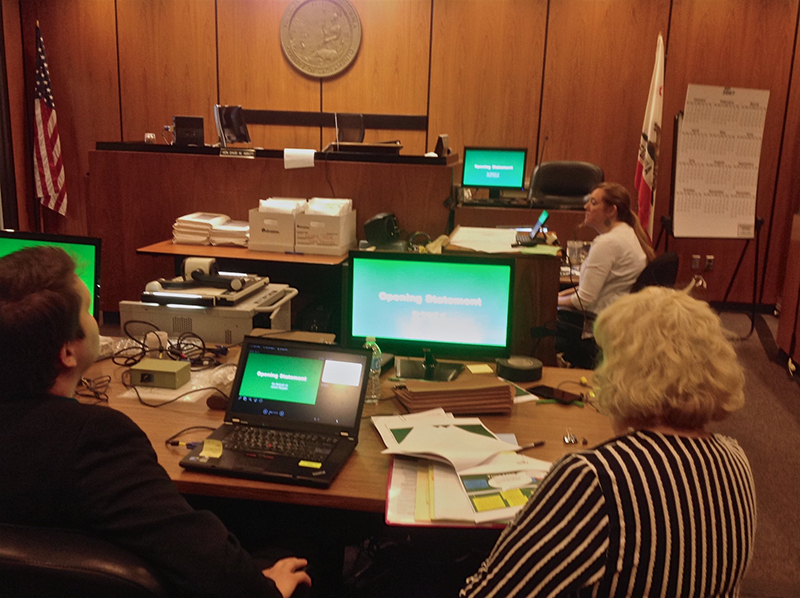 We literally put the evidence in the jury box using state of the art techniques and equipment. 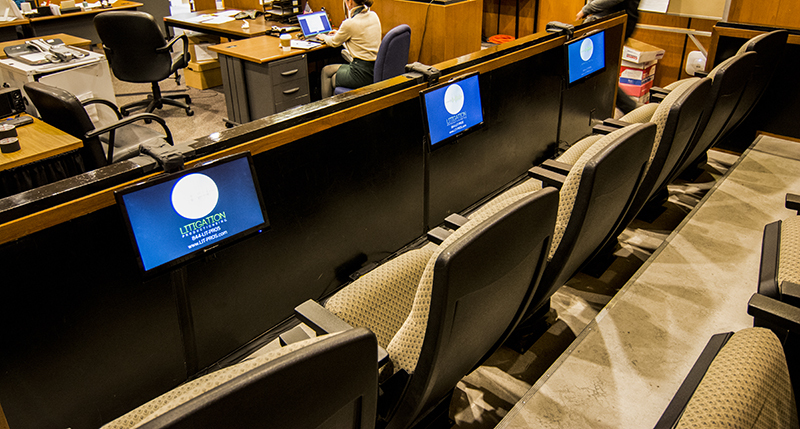 This allows attorneys to display high-definition evidence before the judge and jury. Attorneys are in complete control - easily using our technology to draw attention to select portions of documents, photographs, testimony, and more. 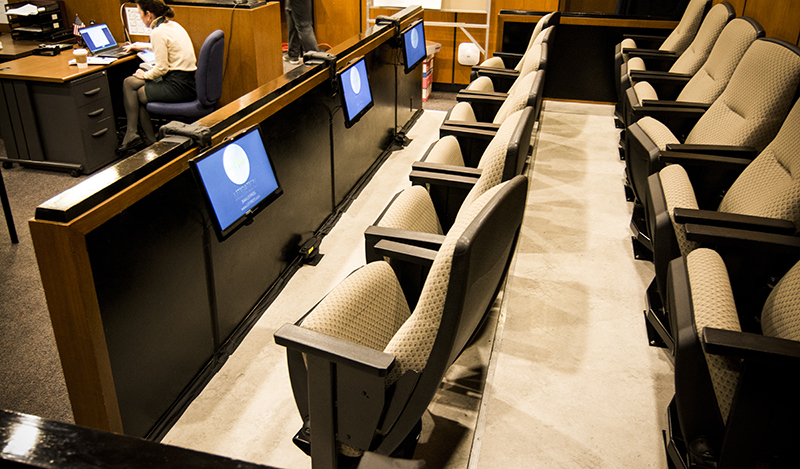 Keeping the jury engaged increases your bottom line. 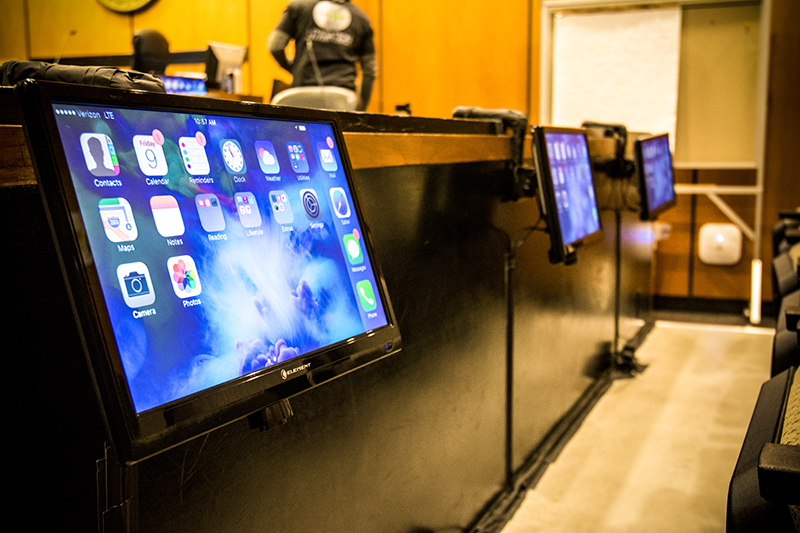 Our technicians strategically place high-definition monitors in the jury box, in the witness stand, on the judge's table, and on the attorney's table. We also utilize high definition projectors and portable backdrops. 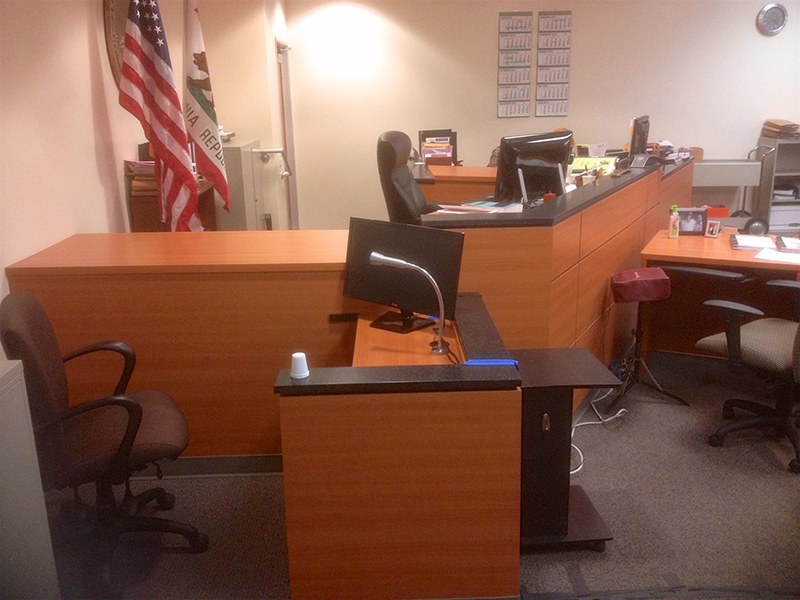 We can also display or project images from portable document cameras, laptops, iPads, iPhones, or storage drive. Our monitors range from 19' all the way to 60", with resolution from 720p to 4K, depending on what your needs are. 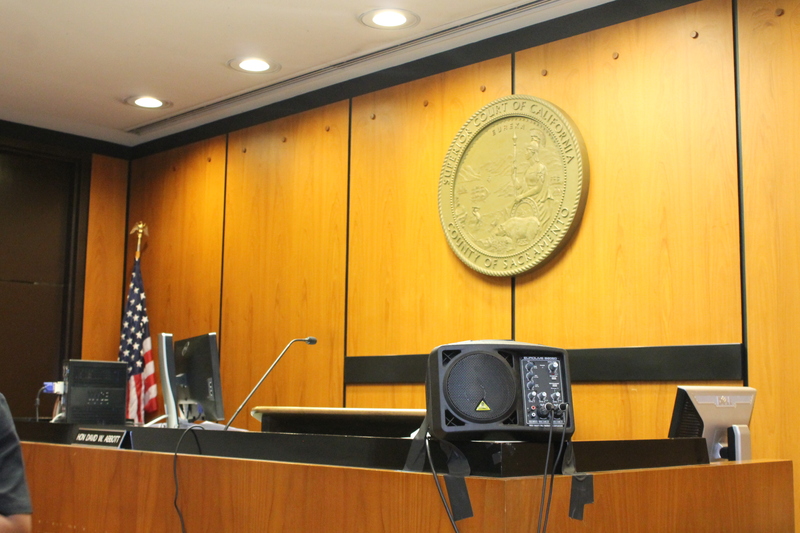 We also supply audio equipment to the courtroom so your videos and audio is heard clearly. All this will keep your jury engaged, paying attention to your client's story. Our setup is neat, and everything is run discreetly as possible to avoid tripping hazards and unsightly cables that take away from your presentation. Our technology will keep them focused on you from start to finish. 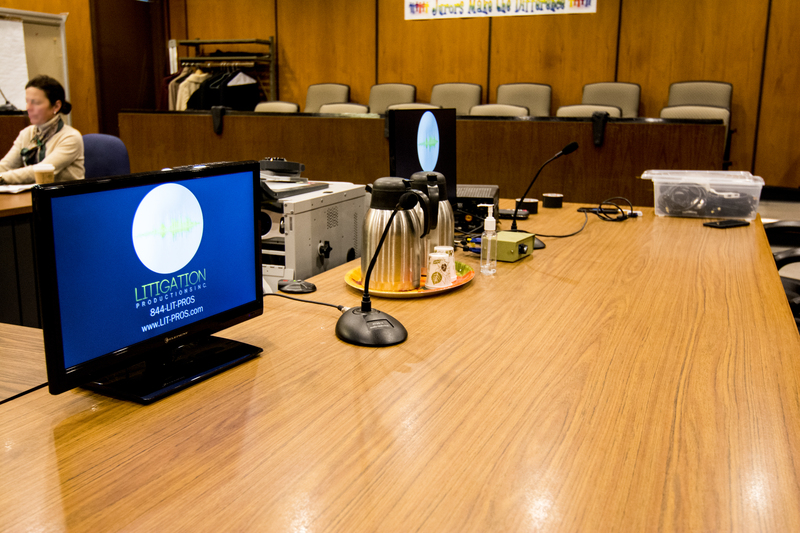 Have our technicians set up the courtroom for you today.